Some races are just made to be watched again and again. 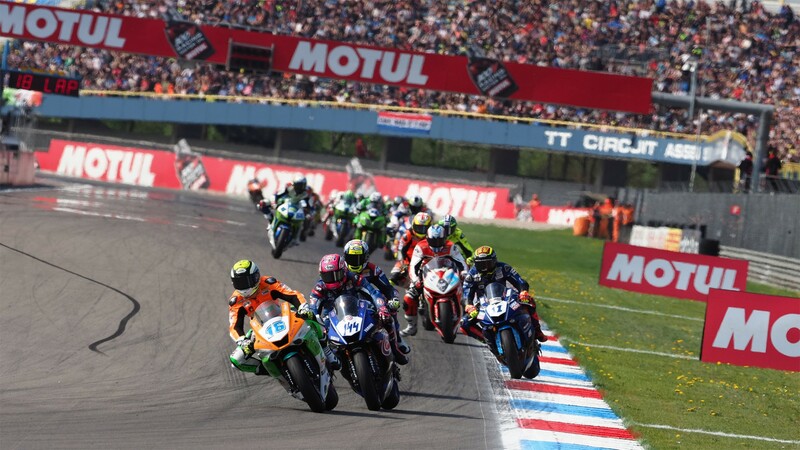 The fourth race of the FIM Supersport World Championship at Assen fits perfectly into that category, as the Dutch fans witnessed an epic contest with a fourth winner of the year, a breathtaking climb from the back, more passes than can be counted, heartbreak, and in the end, a championship that is as unpredictable as it is exciting. When the dust settled, it was Jules Cluzel (NRT) who made it out on top. 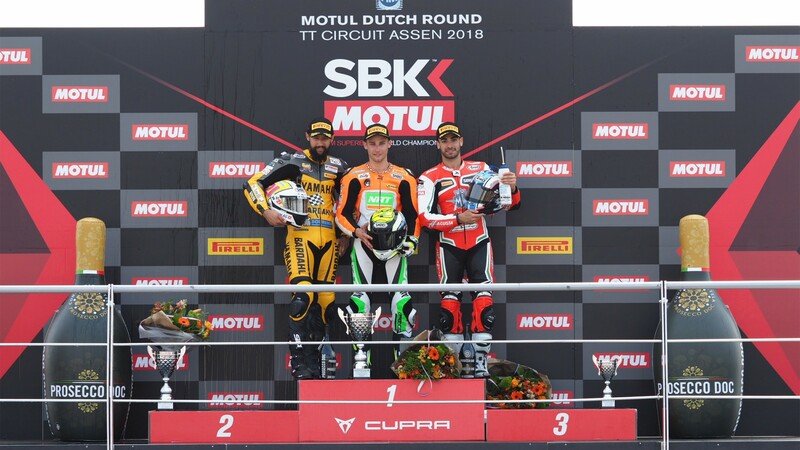 The Frenchman had spent a year and a half without a win in WorldSSP, and his season began with two disappointing races, but after a fantastic start here, where he moved from fourth to first inside the first lap, Cluzel never left the top of the field, battling off contender after contender. 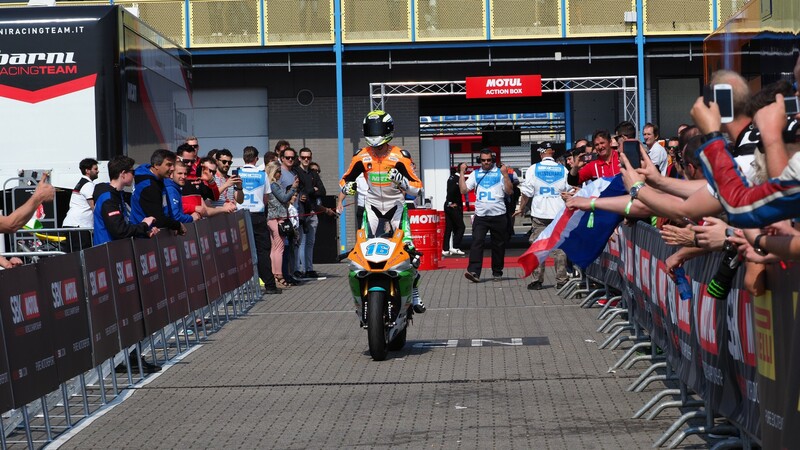 However, the star of the field was inevitably Randy Krummenacher (BARDAHL Evan Bros. WorldSSP Team). 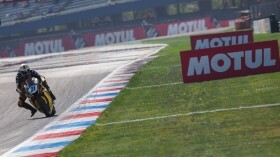 The Swiss rider’s Sunday started in shock, as a problem with his Yamaha forced him to go back to the pits before the warm-up lap, starting eventually from the back. But this just set the stage for a memorable performance. By the first lap he was up to 18th; halfway through he was 7th, hunting down the leading pack. Then came the final laps: he went past Luke Stapleford (Profile Racing) on lap 12, took out both Federico Caricasulo and Lucas Mahias (GRT Yamah Official WorldSSP Team) shortly after as the teammates came together, battled with poleman Sandro Cortese (Kallio Racing) to climb onto the podium and, finally, with a lap to go, made it past Raffaele De Rosa (MV Agusta Reparto Corse by Vamag) into second. Cluzel proved to be one man too many to beat, but Krummenacher should be elated by a performance, perhaps the best of the championship so far. Behind him, De Rosa put his MV Agusta onto the podium for the first time this season, after clashing with Cluzel all race. It’s the first non-Yamaha bike in the top three this year. He made it in just ahead of championship leader Mahias, who sees his lead reduced to just one point. 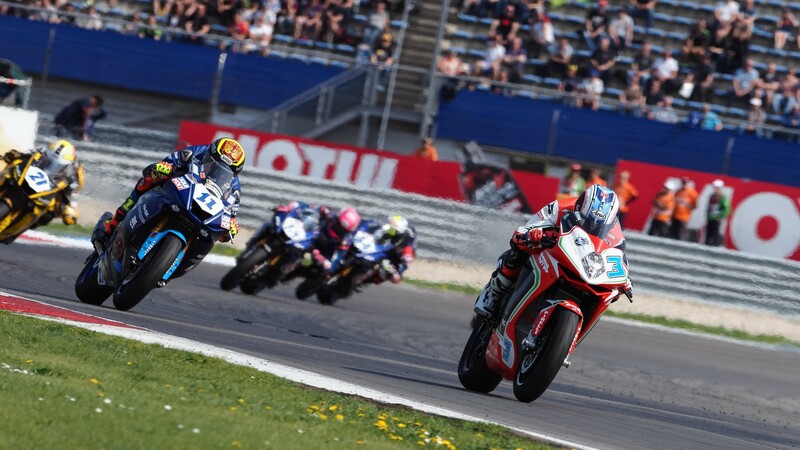 Cortese, starting from first, couldn’t come back from a poor dash off the lights, as he did at MotorLand Aragon, and finally came in fifth, after Stapleford, who just made it in ahead, was sanctioned for a previous clash with Caricasulo. 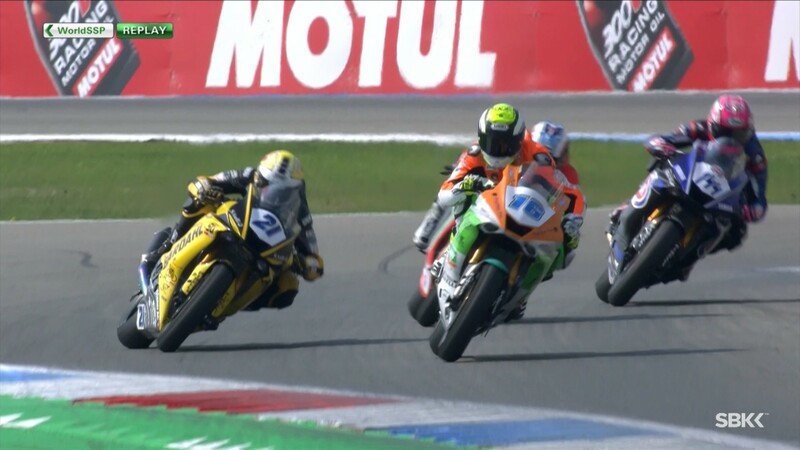 The Italian will be extremely disappointed, as he leaves Assen with no points and drifting away from the championship lead. 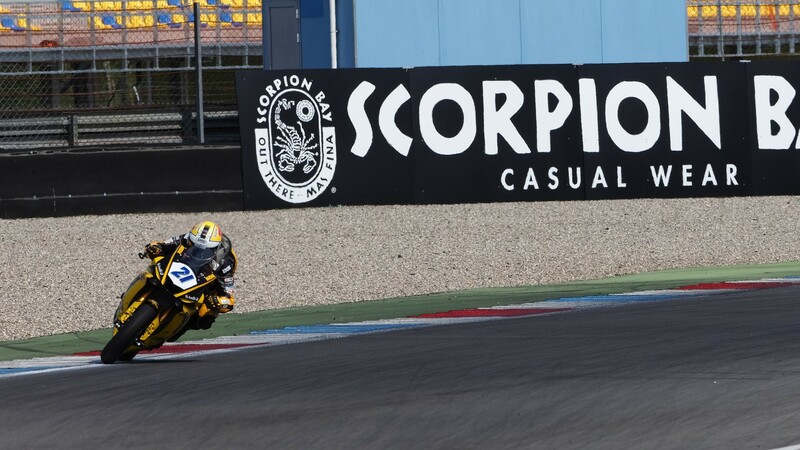 Behind Cortese, it was finally Niki Tuuli (CIA Landlord Insurance Honda) in sixth, with Rob Hartog (Team Hartog – Against Cancer) in seventh and Thomas Gradinger (NRT) in eighth, all three separated by just half a second. 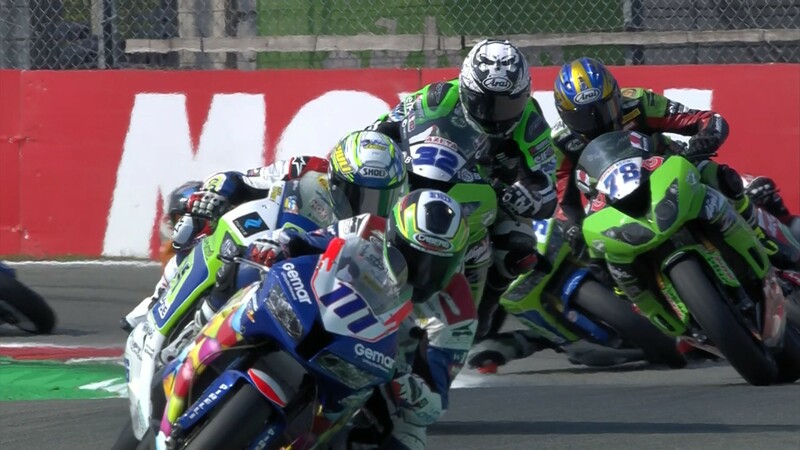 The WorldSSP championship returns in three weeks-time, from May 11-13 at the legendary Imola. 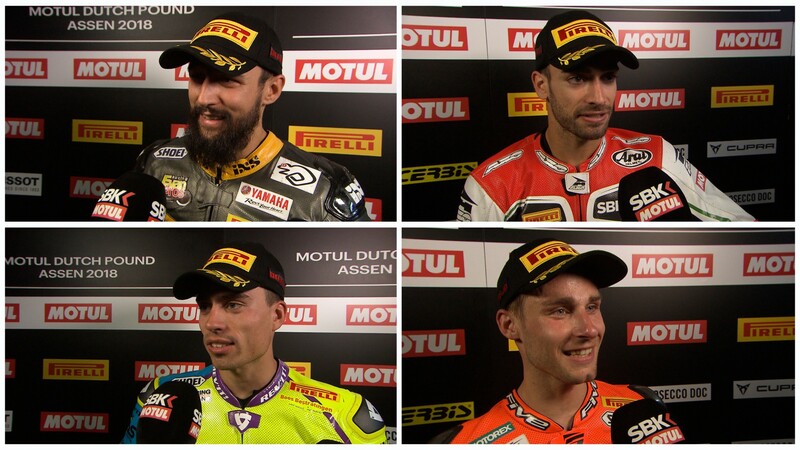 Catch the run-up to the Pata Italian Round, along with everything that happened this weekend at Assen, thanks to the WorldSBK VideoPass.